The right siding does more than protect against the elements and insulate your home. It contributes greatly to aesthetic quality and curb appeal, something especially important when you decide to sell. Make the right siding decision for your residence by keeping these factors in mind. Your siding must complement your home’s architectural style to increase curb appeal rather than take away from it. Vinyl and fiber cement complement more modern homes, including cozy bungalows, as does metal siding. Wood siding offers a classic touch applicable to a variety of architectural styles, including those modeled after farmhouses and log cabins. Stucco complements Spanish-style homes and similar residences. Environment plays a significant role in any siding decision, as some options are more durable than others. 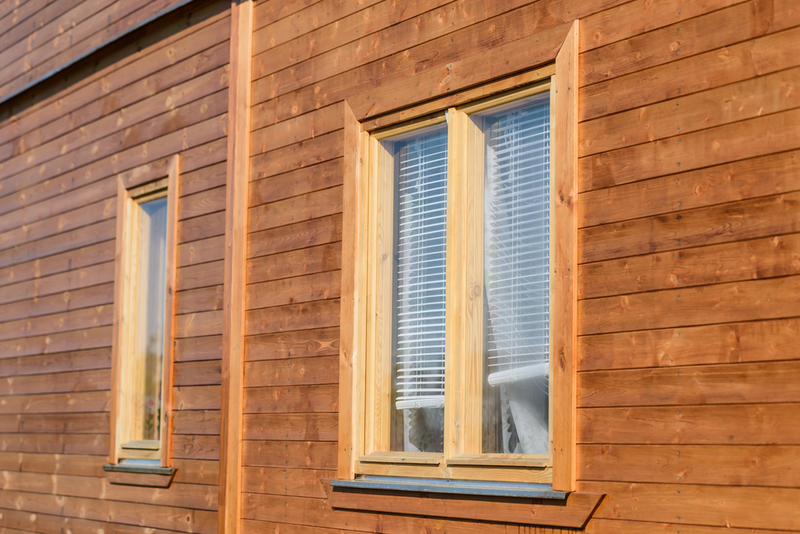 Fiber cement, for example, easily resists rot and insect damage, while wood siding is vulnerable to both without special treatment. Vinyl also resists rot and termites, but tends to crack in extreme cold. It will also warp without proper installation. Metal, fiber cement, natural stone, and brick siding protect against fire, making each excellent choices for dry climates. They also hold up against rot and insect damage. In terms of price, vinyl siding is the clear winner followed by fiber cement. Wood, natural stone, brick, stucco, and metal typically cost more than vinyl; however, brick, natural stone, metal, and stucco options also last 50 to 100 years or more. Wood requires periodic treatment in addition to a higher price tag. Brick veneer siding, in comparison, never requires repainting or refinishing but does eventually suffer from mortar deterioration. Natural stone, vinyl, and fiber cement are virtually maintenance-free except for the occasional pressure washing. CL Siding & Construction has the team of roofing and siding contractors you want working on your home. Regarded as the most experienced contractors in Licking County, OH, these experts provide residential and commercial services to keep area homes and businesses in outstanding condition. Call (740) 323-1406 or visit their website for a free estimate. Like the Facebook page for additional tips when choosing siding.